Donate Now to our Annual Campaign! The Dripping Springs Education Foundation (DSEF) introduces Lou Mandy Bruggman as its new Executive Director. Ms. Bruggman brings nine years of non-profit and fundraising experience to her new role. Most recently, she was the Vice President of Philanthropy and Director of Planned Giving with Boys & Girls Clubs of Central Wyoming where she was named as a national finalist for Resource Development Professional of the Year. She previously served as Volunteer Coordinator for the Voices of Children, Inc., and the Twin City Mission, both in Bryan, Texas. 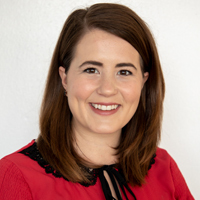 Ms. Bruggman is a graduate of Texas A&M University where she earned a bachelor's degree in Communication, with a minor in Sociology. A Texas native, Bruggman returns to central Texas to raise her three daughters, alongside her husband Allen, who recently joined the staff of the Dripping Springs ISD Communications Office. Once again, Dripping Springs has shown immense support for The Dripping Springs Education Foundation. 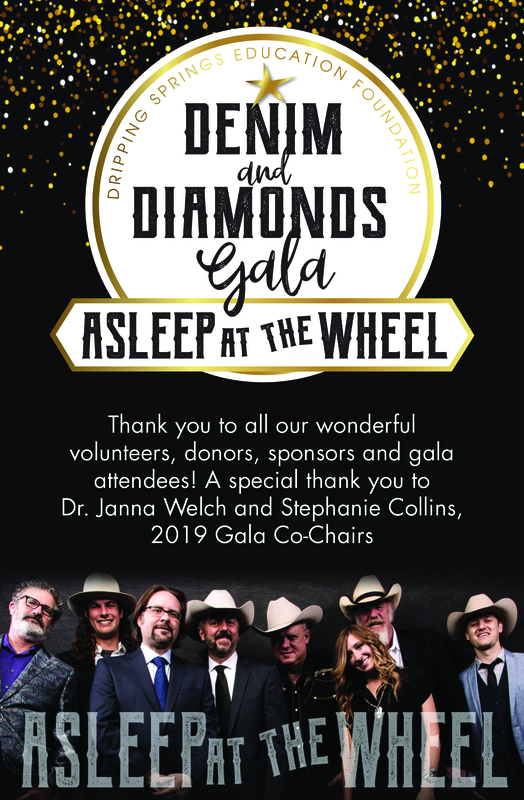 Asleep at the Wheel was magical! 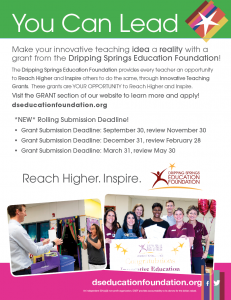 By sponsoring, donating and attending you have helped maintain funding for Innovative Teaching and Student Leadership grants throughout DSISD. Thanks to all our wonderful teams and sponsors for another successful and fun Schoolhouse Scramble! Look forward to the 10th Annual Schoolhouse Scramble in 2019! 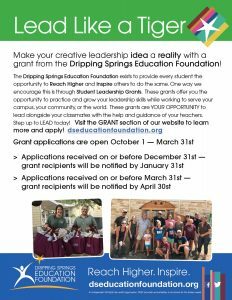 The Dripping Springs Education Foundation exists to provide every teacher the opportunity to Reach Higher and Inspire others to do the same. One way we encourage this is through Innovative Teaching Grants. These grants are YOUR OPPORTUNITY to Reach Higher and Inspire! DSEF has a long tradition of recognizing leadership among our students. The Student Leadership Grants are designed to foster the development of students’ leadership skills through their efforts to serve their school, our community, or others in the world around us. Students, together with their faculty sponsors, apply for the grants during the fall semester. The DSISD Grant helps fund programs that prepare our children for the demands of a modern world, such as the District’s 21st Century Learning Initiatives. Each year your Education Foundation donates funds to support Innovative Teaching Grants, Student Leadership Grants, and an additional grant directly to the district. It is the generosity of our many donors and volunteers that has made this entirely possible. This fund provides support for DSISD students whose financial circumstances present a significant challenge, or barrier, to that student’s participation in a school-sanctioned activity or event. Any eligible student in good standing in the DSISD may apply to the fund for financial support. Please support our Annual Campaign TODAY!